Nepal Mobile +977 9851017030 24 Hrs Avialable on WhatsApp, Viber or WeChat. EBC Trek Fly in Fly out by Helicopter (Both-way) is the best regard for the mountain lovers and climbers. As the fully trekking can be marked outdated, this helicopter trek to EBC with both way flying opportunity can be the ideal choice. 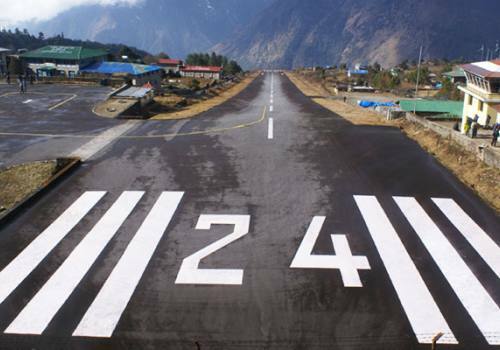 Because it includes the rectification of dangerous Lukla Airport’s flight landing. Also, trekking back the same (or some different) route to Lukla and then to Kathmandu is not a necessity. 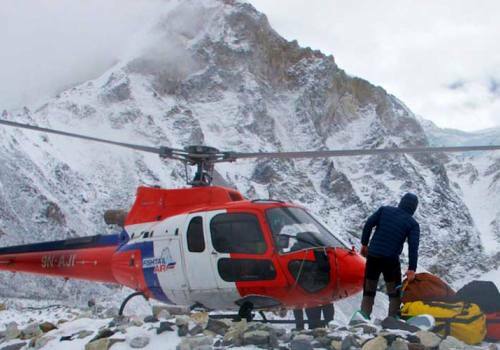 Now, the main question may arise as, Why do we prefer EBC Helicopter Trek? The simple answer remains as “it’s better to fly and upsurge than to walk more and loose urge”. EBC Trek Fly in and Fly out is an 8 nights 9 days package with both way helicopter facilitating itinerary. As per the itinerary, you will have the helicopter flight from Kathmandu to Lukla, then trek to Phakding, Namche Bazar, Tengboche, Dingboche, Lobuche, Gorakshep, Everest Base Camp, Gorakshep, and finally have a helicopter return flight to Kathmandu from Gorakshep (Everest Base Camp). Amid the helicopter fly in and fly out tour and the trek, you will observe the wonderful mountains, snowy landscape, green hills, cascades, rivers and lakes, glacier, and exotic flora and fauna. Also the memorials of climbers and Sherpas, encounter and chit-chat with local inhabitants about their lifestyle and values, prayer walls, monasteries and chortens, and so forth worth the applied time and effort. Traveling to Everest Base Camp by Helicopter can be the safest opportunity to reach Everest Region than from airplane flight. It is because of the safe and sound landing that can be provided by the helicopter. The helicopter is smaller and the landing space needed is also lesser in comparison to the airplane. So it won’t need a long runway and other precautions that might be required by airplane flights. It will take around 45 minutes to reach Lukla from Kathmandu. The visibility level of the helicopter is also higher meanwhile of which helicopter can fly over in less visibility too. Hence, this Heli flight can be organized in possible bad weather too at which airplanes could not fly. The safety level of this trek/tour is also high. As per the short term vision, this helicopter flight from Kathmandu to Lukla and Gorakshep to Kathmandu will be most feasible. Because there is the renovation work going on the domestic airport (Tribhuvan International Airport, Kathmandu) which make the Kathmandu – Lukla flight diverted as Kathmandu – Ramechhap – Lukla Flight. This time of reaching Ramechhap from Kathmandu (by road) and then to Lukla (by flight) will be minimized. 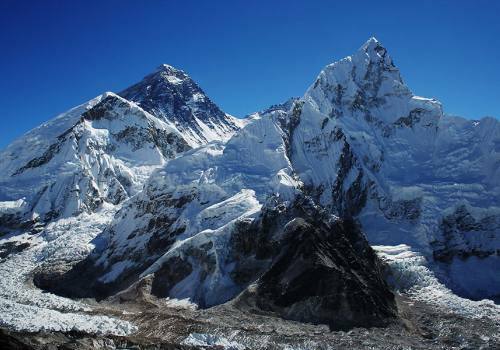 Most of the companies are selling one-way EBC helicopter flight to reach Mount Everest Base Camp and Kala Patthar. But this is the first itinerary brought to you by Nepal Trek Adventures and Expeditions to facilitate the travelers of Mount Everest. You can book this 8 nights 9 days helicopter trek easily with us as it is the fresh trekking itinerary provided to you covering the overall major attractions of the Everest region. Free Cancellation up to the 8th day before departure. For more to know click our Payment Term and Condition Policy. Day 01:Helicopter Flight to Lukla from Kathmandu and Trek to Phakding This is the first day of Everest Base Camp Trek Fly in Fly out by helicopter. In this day, you will fly from Kathmandu to Lukla in the helicopter. The flight will take around 45 minutes to complete. But the availability of seats and weather condition depends on the heli flight taking off and landing. 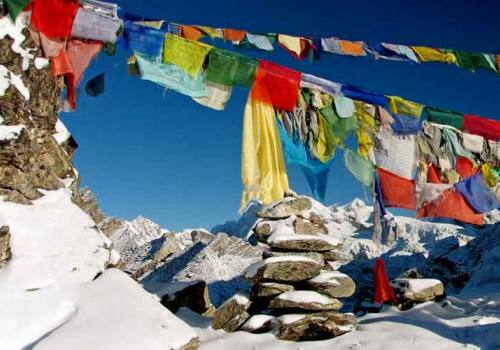 Reaching the gateway of the Everest region is followed by meeting the local guides and porters hired by the company. They also might go on the same helicopter flight where you are moving. Choice can be made for this. After all the formalities are done in Lukla, you will be moving toward the Phakding village. Lukla to Phakding trek will take 3 hours to complete. There will be much more time for you to explore the village with people of local lifestyles, cultures, etc. other beautiful attractions will be the chortens, prayer wheels, small and big houses, mountains including Mount Nupla (5,885m), Mount Karyolung (6,511m), Mount Gongla (5,813m), Kusum Kanguru (6,367m), and so on. Stay overnight at Phakding. Day 02:Trek to Namche Bazar from Phakding This day starts with an early morning wake up and a light breakfast. After having breakfast, we will trek around 6 to 7 hours towards Namche Bazar seeing a lot bigger number of mountains than the primary day. Intersection the pine, fir and rhododendron backwoods, we reach to Monjo which is the passageway of Sagarmatha National Park. In addition, we get the chance to visit the Sherpa social exhibition hall and Sagarmatha National Park Gallery making your trek energizing and instructive. The trouble level during the current day is moderate achieving the height of 3450m. We likewise go through Tenjin Hilary Bridge. Strolling at a moderate pace, we will have the open door for photos as the pinnacles of Everest (8,848m), Lhotse (8,511m), Nuptse (7,879m), Arna Dablam (6,856m) and Taweche (6,542m) come into view out of the blue. Walking once more for sometimes will take us through the pine trees to achieve the village of Namche Bazar. Day 03:Acclimatization at Namche Bazar This day we stay at Namche Bazar. Staying at this place is designed in order to help your body adjust with the environment and the high altitude. Waking early in the morning, you will have the glimpse of mountains and later on, the day explores around the Namche Village and market, Sagarmatha National Park, Syangboche Airport, Hotel Everest View, and so on. 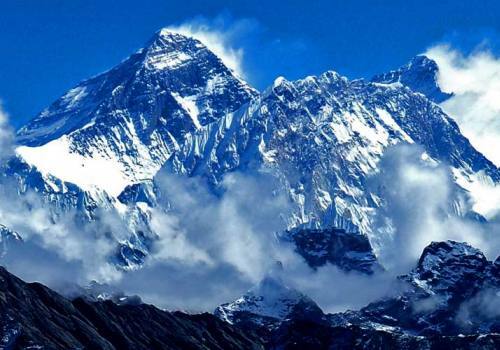 Other attractions remain the mountains like Mount Everest (8,848m), Lhotse Shar (8,393m), Lhotse (8,516m), Shar (6,093m), Nupla (5,885m), Ama Dablam (6,814m), Tengi Ragi Tau (6,983), Thamserku (6,608m), Tobuche (6,501m), Kusum Kanguru (6,367), Kabsila (5,583m), and Khumbila (5,761m). The total altitude at which we travel this day is 3,840m at an easier difficulty level. Day 04:Trek to Tengboche This day, after breakfast, you will head towards Tengboche from Namche Bazar passing through the monasteries, Buddhist temples, and steep up and down hills. It will take around 6 hours to reach Tengboche from Namche Bazar. On the way, we gait through the Dudh Koshi River, Phunki Thenga, and Imja Khola Valley with mesmerizing interpretations of mountains like Mount Everest (8,848m), Kangtewa (6,685m), Ama Dablam (6,814m), Tengi Ragi Tau (6,983m), etc., rare animals and birds like Himalayan Tahrs, Spotted Deer, and Danphe (national bird of Nepal). The maximum altitude reached today is 3,860m with a moderate difficulty level. The accommodation is made available in Tengboche in local tea houses or lodges. Day 05:Trek to Dingboche Climbing progressively soak way and colder climate, with the perspectives on furthermore mountains, crossing the wooden scaffolds, we achieve our fifth-day destination, Dingboche. Amid the way walk, we can oversee the distinctive chortens and Mani dividers in transit going through the little towns. 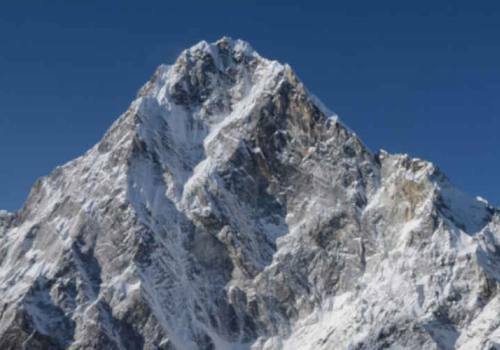 We get a closer perspective on Mount Ama Dablam. 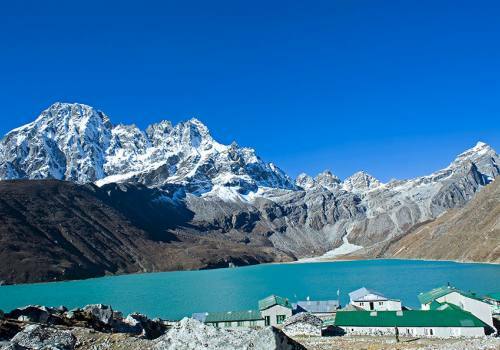 The major attractions of the day remain the mountains’ views (Lhotse, Ama Dablam, Taboche, Cholatse, Island Peak, Lhotse Shar), Dingboche Monastery, Mani Walls and Chortens. Toward the evening, we proceed through Pheriche with moderate trouble, later on, encountering the steepest move of the day, we at long last reach Dingboche visit Dingboche religious community and remain for a night. The total walking time of the day remains a maximum of 6 hours with an easy difficulty level at an altitude of 4400m. Day 06:Acclimatization at Dingboche This day, we stay at Dingboche and observe the natural as well as the artistic beauty of the place. After morning meal, we will climb upward to the north for having a pleasing view of Mount Ama Dablam and other mountains like Lhotse, Lhotse Shar, Taboche, Island Peak and Cholatse. Other main attractions of the day remain Stone walls covering Imja valley and World’s Highest Billiard Parlor. 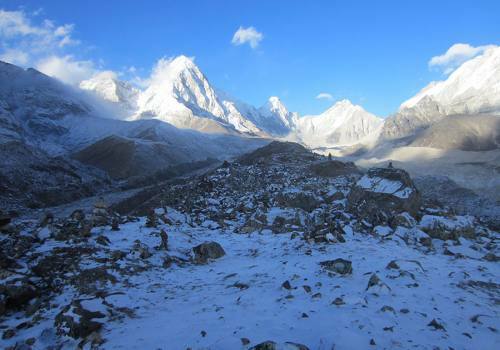 The overall Dingboche valley pleases with a cool and serene environment. In the whole day, you will walk for about 3 hours which is not much as compared to other days. We will spend time walking around and observing the environment only, hence it remains the easy trekking difficulty with life experience. Day 07:Trek to Lobuche This day, the trail continues for about 5 hours to reach the small village of Lobuche. 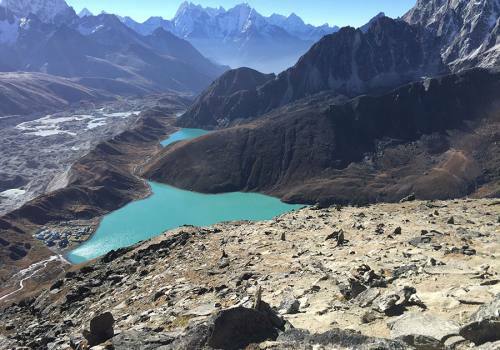 Amid the trek, we will pass through the wooden bridges, Khumbu Glacier, and yak pastures. The total height up to which we travel remains 4,940m with an easier pace of reach. 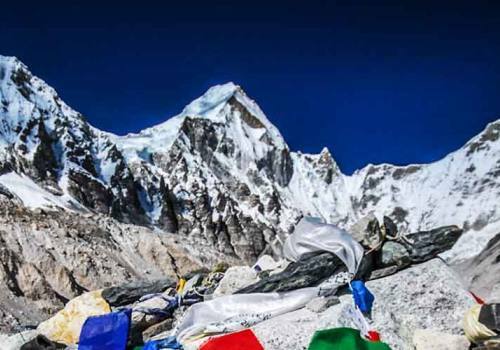 The main attractions of the day are the mountains (Lobuche, Pumori, Khumbutse, Kangtega, Taboche, and Thamserku), Himalayan Glacier like Khumbu Glacier, and memorials of lost Mount Everest climbers and the famous climbers, Sherpas. 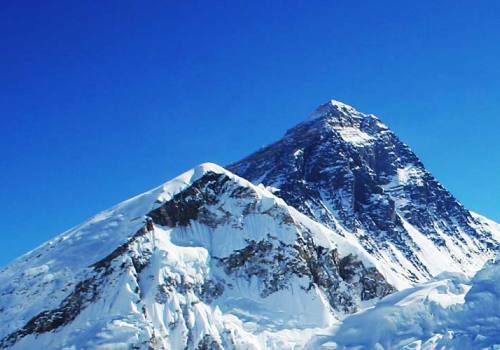 From this point, Mount Everest is not seen clearly as it lies behind the vertical Nuptse – Lhotse wall. Stay overnight at local tea houses or lodges in Lobuche. Camping can also be done. Day 08:Trek to Gorakshep to Everest Base Camp to Gorakshep Today is the second last day of the trek. It is the day when you climb to the Everest Base Camp for getting the closest view of Mount Everest and hundreds of surrounding mountains. At the very beginning, you will climb upward to Gorakshep (5,164m) from Lobuche and some lunch there. 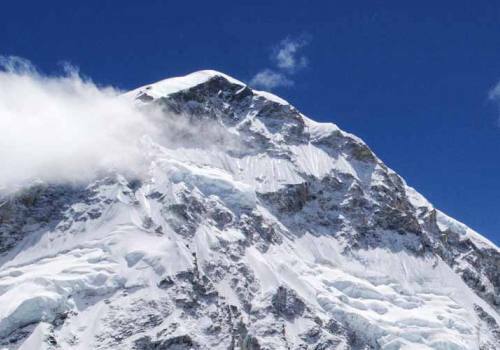 Then, you will ascend toward the base camp of Mount Everest at an altitude of 5,380m. The view observed from there worth every trouble and tiredness that arises during the trekking processes in preceding days. We will spend some minutes or hours in the base and observe and enjoy the calm environment with self or other climbers. The major attractions of the day remain the mountains like Mount Everest, Nuptse, Pumori, Changtse, Lingtren, Khumbutse, and Chumbu. After beautiful moments in the base camp, we will descend back to Gorakshep. The total walking time of the day is around 4 to 5 hours with moderate difficulty level to reach the destined place. Have day-night accommodation in Gorakshep. Day 09:Helicopter Flight from Gorakshep to Kathmandu On this final day of Everest Base Camp Trek Fly in Fly out by helicopter, you will have a helicopter flight from Gorakshep to Kathmandu. After having breakfast in Gorakshep, you will be transferred to Kathmandu. On the air way, you will have the amazing flyover view of mountains, green hills, cascades, glaciers, lakes, rivers, small or big houses and people, lights, and so on. It will take around 45 to 50 minutes to reach Kathmandu from Gorakshep. After reaching Kathmandu, if you have the same day flight to your native country, we will return back to our company after seeing you off only. But if not so, you will be transferred to your booked hotel safely. Also, we provide the services like hotel booking, flight ticket booking, and trip management in case of your (customers’) demand. Travel insurance (Travel insurance is compulsory to take an adventure trip and it must be covered both medical & emergency evacuation with the worth of USD 100,000 minimum. Always heard about Kathmandu to Lukla Flight and starting about the Mount Everest and Mount Everest Base Camp journey from Lukla. There was a renovation work going on in the domestic terminal at Kathmandu (Tribhuvan International Airport), so I was thinking that there will be no Everest Base Camp Trekking in these days. But later I got to know about Kathmandu Ramechhap Lukla transportation and indirect flight. I found this also as a hectic choice, as there will be more time consuming to reach Lukla from Kathmandu. Finally, got to know about the EBC Trek Fly in Fly out by helicopter. This EBC Trek Fly in Fly out by helicopter was a great proposition to reach Lukla, fix the expedition to Everest Base Camp, and return back to Kathmandu easily from Gorakshep. It was a kind of ‘never thought about’ trek for me. 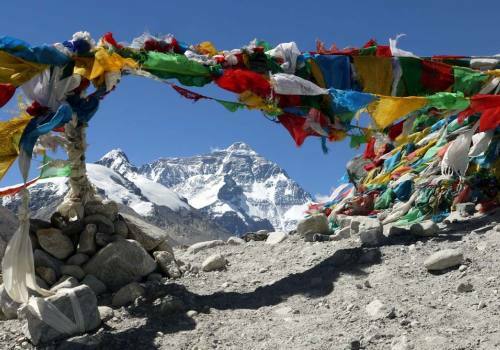 Amid EBC Trek Fly in Fly out by helicopter, I got to know much more about the Everest, Everest Base Camp, the Sherpa, their cultures and more aspects, also monasteries and chortens. The overall experience of this trek was amazing. The helicopter service made it a more beautiful and exciting one. I recommend this trek and trekking agency to all the people who have never been there, also who have been there. I got to view the upside down outlook of the existing route and the underlying beauties. It was the best experience of my life where I got to walk via trek and fly via helicopter ride. Truly, salute to the guys who got this fabulous idea in their head. Highly recommended. In March 2019, I was in Nepal for my excursion and my companions proposed me for a trek. I was completely confounded in picking group for trekking. I visited a considerable lot of the trekking offices way to entryway for 2 days. Be that as it may, I was not fulfilled in light of the fact that all offices were just clarifying about themselves. Finally, I got attractive data about Nepal Trek Adventure from the web, I checked the website and there were all authoritative archives of the organization. The day after I visited Mr. Binod and I booked EBC Trek fly in fly out by helicopter trek with them. Because of his expert conduct, I got an opportunity to gain a lot of natural, historic and artistic panorama from there. Flew to Lukla from Kathmandu by helicopter and also returned back to Kathmandu from Gorakshep by Helicopter. This EBC Trek flies in fly out by helicopter was just as it was mentioned in the itinerary and precise description. My guide Shiva was so cordial and educational who responded to every one of my inquiries. I didn't feel exhausted notwithstanding for a second in view of his most clever nature. By running with their group, you will never feel lament. Exceedingly suggested. We wound around any way we got an additional time which we expected to spend examining more of Nepal with Nepal Trek Adventure and Expedition. This is the experienced company with the well-experienced and obliging team members. I talked with Binod Sapkota (Managing Director) about a sort of experience that I required, and he recommended EBC Trek Fly in Fly out by helicopter. This trek would lead to the base camp of the highest mountain in the world, Mount Everest. I induced my dearest friend and he moreover agreed. We made a call to Binod and he fixed our excursion. We were previously 5 people hailed in Nepal, but just we (me and my closest friend) went for this Everest Base Camp Trek Fly in Fly out by helicopter. Each sort of stuff of the spots that we saw, those Himalayas, those valley lights, greenery, broadly changed vegetation that we saw on the flight were superb. Truly, the view was an epic. Wandering on the bone-chilling base camp gave the assessment of chance and was charming. Binod himself was there with us so correspondence was not an issue, which helped us more with thinking about the mountains, greenery, and fauna. Thankful to you Binod, you and your employees are surprising. I went to Nepal for EBC Helicopter fly in fly out trek in my spring vacation. I was the primary individual going for this trek. Thus, the organization I booked and every one of the staffs were so much appreciative and upbeat. I was additionally overhauled with wonderful neighborliness. I arrived in Kathmandu and there comes Binod to get me. Binod is the proprietor of the organization. I was glad to the point that the proprietor himself came to get me at the air terminal (Kathmandu International Airport). We at that point achieved the inn which he had reserved for me. We remained there for quite a while and had some talks. The discussion was past the trek and visit as he was so neighborly. I shared numerous things about me to him as well. Following day, I had my flight. I was appointed a guide named Krishna, who was a great deal neighborly and obliging. We went to Lukla and had trek with one another, and furthermore flew back to Kathmandu together. As a result of him, I had the capacity to know the names of various mountains, lakes, and plants. The trek was in general magnificent due to the lovely Himalayan pinnacles, frigid scene, green backwoods of oak, pine, rhododendron, falls, and some more, and in particular as a result of such a superb buddy. Subsequent to returning back to Kathmandu by Gorakshep – Kathmandu fly out flight, he dropped me to my lodging and after that just returned back. This eight evenings and nine days trek was significantly more fun than I at any point anticipated. Much obliged to you, Binod, Krishna and Nepal Trek Adventure for this astonishing helicopter trek to Everest Base Camp with a fly in fly out service. I planned to go to the Everest Base Camp at the last moment. I had got the name of the company, Nepal Trek Adventures, and Expedition (NTA), as he had already gone to the beautiful country, Nepal earlier. 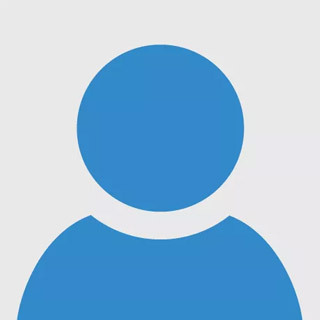 I contacted Binod, he was quick in his messages and replies to queries. I loved his dedication. I booked the flight ticket of a day and reached Kathmandu that day. Next day way my trekking starting day. Binod had done all the preparation in such a small amount of time. I was totally amazed. It was the policy of booking the trek some months or days ago the trek, but he just did in it in a blink. Next day, we (me along with one guide Krishna) went to Lukla via EBC Trek Fly in Fly out by Helicopter service. Went Lukla, did the trek. After reaching Gorakshep, on the last day of my trek, i.e. ninth day, I met Binod himself waiting for me with a helicopter. We hugged with a smiley gesture and, we all, me, Krishna and Binod, headed towards the helicopter and flew back to Kathmandu. I had never thought about such an amazing trek to the highest peak, Mount Everest in such a minimum time of trek organization. Thank you, Binod, Krishna and all the team members who assisted a lot in this Everest Base Camp Trek Fly in Fly out by Helicopter. A lot of love and respect for you all guys. Utilizing my summer holidays, I went to Nepal for EBC Helicopter fly in fly out trek. I was the first person going for this trek. Because of that, the company I booked and all the staffs were so much grateful and happy. I was also serviced with heavenly hospitality. I landed on Kathmandu and there comes Binod to receive me. Binod is the owner of the company. I was so glad that the owner himself came to receive me at the airport. We then reached the hotel which he had booked for me. We stayed there for some time and had some chit-chats. The talk was beyond the trek and tour as he was so friendly. I shared many things about me to him too. Next day, I had my flight. I was assigned a guide named Krishna, who was a lot friendly and obliging. We went to Lukla and had trek with each other, and also flew back to Kathmandu together. Because of him, I was able to know the names of different mountains, lakes, and plants. Also, I learned some Nepali words like ‘Namaste’ and a few more from him. The trek was overall awesome because of the beautiful Himalayan peaks, snowy landscape, green forest of oak, pine, rhododendron, cascades, and many more, and most importantly because of such a wonderful companion. After returning back to Kathmandu by Gorakshep – Kathmandu fly out flight, he dropped me to my hotel and then only returned back. This 8 nights and 9 days trek was much more fun than I ever expected. Thank you, Krishna and Nepal Trek Adventure for this amazing helicopter trek to Everest Base Camp. Payment: It is essential to pay a minimum of 15% payment before the trek so that we can confirm the trip reservation. The remaining amount can be paid in our office during the meeting. Arrival point: At first, you will land at Tribhuvan International Airport, where you will meet our company representative. S/he will transfer you to your respective hotel. Currencies: It is suggested to you to carry some cash with you for some critical and emergency cases. Otherwise, the city area is filled with ATM where VISA and Credit Cards will be accepted. Guides and porters: You can choose a guide, porter, after having some talk with them. Laundry: Laundry facility is available in the city area, but not during trekking. Drinking water: Mineral water is found everywhere. But also you can carry water bottles which you can fill if you find any drinking water taps. Room and accommodation: Rooms with twin sharing beds will be provided during the trek. You can also choose to have a single bed, but the prices will differ. VISA: You will get arrival VISA at Kathmandu which cost 25 USD for 15 days and USD 40 for 30 days. Don't forget to bring two passport sized photos. Travel insurance: It is mandatory as nothing can be predicted during the trek. Group size: There can be at least 1 and at most 5 people in one group. Food: The regular three meals (breakfast, lunch, dinner) will be managed by the company during the trek, but food in Kathmandu should be managed by yourself. Personal expenses: The personal expenses like internet, shopping, horse hire, etc. should be managed by yourself. Nepal is famous for handmade carpets, jewelry, handicrafts, Thanka painting, so you can buy them too, for your memory. Luggage: Only 10 kilograms of luggage is preferred during trekking, as more luggage become more difficult to carry along. Tips and gratitude: Tips are happily appreciated and accepted. Orientation: You will be provided the orientation about the trek and do's and don'ts during the trek. Altitude sickness: It can be a major problem when you move upward and upward (above 3000m). You need to inform your guide immediately about the problem as much faster as possible. Trekking boots, trekking shoes, trekking poles, and trekking trousers. These are some basic carriage for trekking and helicopter touring to Everest Base Camp. For information about more kinds of stuff, you can check in to our backpacking checklist section. The Fixed Departure dates for EBC Trek Fly in Fly out by Helicopter are listed for special quoted price specified on Small Group Joining trip of minimum 3 pax and maximum 5 people in 1 group base. But we are flexible to receive any booking dates in Private Group Departure or Single Traveler basis for the year 2019, 2020, 2021 and 2022, on your suitable dates which can certainly be added by us in our fixed departure list.